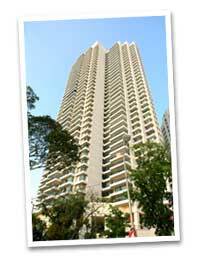 The Regency is located between Kelawai Road and popular Gurney Drive. The Regency has a spectacular view of the sea, Gurney Drive and Penang's skyline. It is part of the Gurney Park Development scheme which comprises an office tower, a commercial complex, a hotel tower and 3 residential towers. The Regency which has an enviable view of the sea, city and a park, is set to be in demand, with its luxurious residential development and a complete range of recreational facilities. This 37-storey condominium block and has a total of 100 units. All units have oriented for an unobstructed view of the sea. The neighbourhood condominium blocks of The Regency Condominium include Bella Vista, Gurney Park and Gurney Villa. Built-up Area : approx. 4,000 - 5,000sq.ft.